This single session exclusive camp features instruction by the one and only Ryan Knapton and snowboard legend Giri Watts. 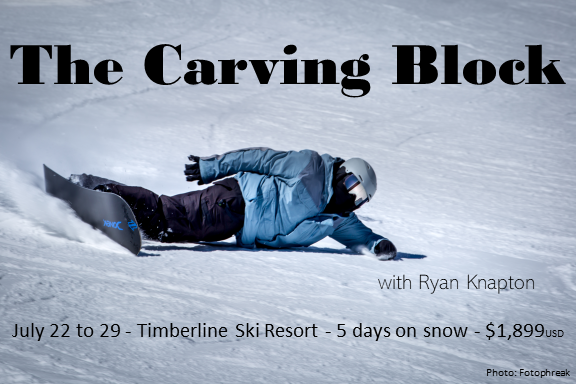 Eight snowboarders will enjoy five days on snow at the world famous Timberline Resort and a day checking out the beautiful Mt. Hood area. Clients will have access to our full demo fleet, learn about waxing and tuning, and improve on their riding. Sign up now to reserve your spot before it sells out. For clients 18 and older. *Can teach tricks not listed here too!